TV Waffle | No Chic. Just Geek. Every time someone on TV changes their socks these days, it’s billed as a life-changing event, but unless you’re a struggling sock merchant who happens to be endorsed by someone hugely influential it’s almost certainly a lie. Not many people honestly and truly had their existences transformed by the revival of The X Files at the beginning of the year: like many people, I suspect, the main feeling it left me with was of something which was rather better in concept than in execution. Still, a (very) mixed bag though the new episodes were, it got me back into the habit of watching the show, and when the revival shuffled off I got my hands on a complete boxed set of the original series (well, everything except the second movie) and settled down to relive a particular slice of my youth. As usual, I rather underestimated how long this would take: about eight and a half months, more or less, albeit with a bit of a detour near the end to watch The Lone Gunmen spin-off again. A big show, then: nine seasons, two-hundred-plus episodes, a couple of spin-offs (does Millennium really count? Hmmm) and movies. I’m pretty sure that even the most dedicated fan of the series would happily admit that it outstayed its welcome, the question is by how much. Having seen it all again fairly recently, for me The X Files falls reasonably neatly into four or five different phases, some of which are of considerably higher quality than others. The first year of the show, for instance, is quite a different animal from anything that follows: in the absence of a significant on-going metaplot, every episode buzzes with a genuine feeling of untapped possibilities – I remember watching this in 1994 and 95 and finding the sense that almost anything could happen almost addictive. At the time, I recall interviews with Chris Carter where he admitted that he didn’t expect the show to be renewed, and certainly not a big hit, hence the downbeat conclusion to the first season with Mulder and Scully separated and the X Files shut down (the first of many times). Then we roll into what I suppose we must call The X Files’ imperial phase, where it dominated the media landscape and pop culture generally (I have to say I still prefer the first season). 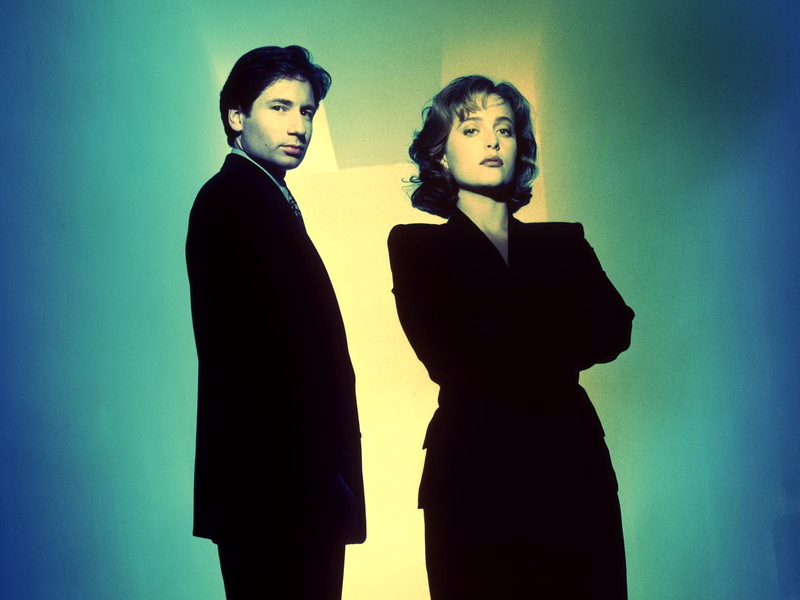 I would say this covers seasons two to five (although this a bit of a drop-off in quality towards the end), and is probably the version of The X Files most people remember – the mixture of ongoing meta-plot episodes with the Syndicate and the Smoking Man, with monster-of-the-week stories, including the startling innovation of comedy episodes (the best ones from the pen of Darin Morgan). At this point you can watch the episodes about the Syndicate and still convince yourself that the writers have a clue as to where it’s all going, while the standalones haven’t yet started to repeat themselves too obviously. One of the interesting factoids I came across in the course of this re-watch was the revelation that the original plan was to conclude the TV show at the end of season five (the name of five’s final episode, The End, is a bit of a clue to this) and switch over to doing a movie every few years. Part of me wonders if this wouldn’t perhaps have been a better idea than what we got, because while there are some good episodes in seasons six and seven – I’m particularly fond of the weirder stories like Rain King, X-Cops, and Hollywood AD – there is a general sense of the show starting to flail about and consume itself. The original Syndicate storyline wraps up in the middle of six, and what follows it is frankly somewhat baffling and lacking in focus or a sense of anyone knowing what it’s leading up to (if anything). Still, it is at least still recognisably The X Files, which is not necessarily true of seasons eight and nine. It’s hard to see the decision to continue in the absence of David Duchovny as being motivated by anything other than reluctance to conclude a profitable series. You can’t help feeling a bit sorry for Robert Patrick, a very able actor landed with the hospital pass to end all hospital passes as Mulder’s replacement, the dogged Doggett. Doggett’s habitual aura of bafflement and frustration could well be coming from Patrick himself, as any chance of him being able to establish himself in the show is perpetually undercut by episodes and characters banging on about Mulder all the time. Classic elements of the older episodes, such as the Bounty Hunters and the Oil, still crop up, but what’s actually going on is anybody’s guess. It gets even more baffling with season nine, with the introduction of the bemusing plotline about the Super-Soldiers and Scully’s wonder-baby, not to mention Annabeth Gish as Monica Reyes. 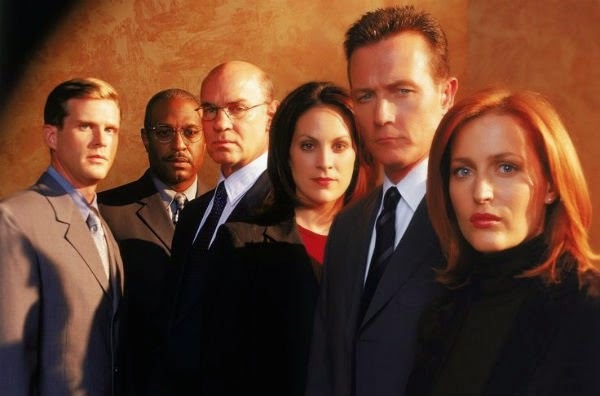 Looking at some of the episodes with Doggett and Reyes, you can almost see how the show could have worked and been as vital and interesting as ever with this new duo – although it would obviously have lacked the role-reversal element (intuitive man, rational woman) which was arguably one of the things that made the early seasons so compelling. The thing is, though, that the show is never about this new duo, for Scully and the memory of Mulder are always wafting about the place, and it all feels slightly out-of-whack, looking back over its shoulder. That said, the decision to axe the show seems to have had the effect of concentrating the minds of everyone involved: the news apparently came during the production of the not-bad standalone episode Scary Monsters, and everything that follows – the series’ equivalent of putting the chairs on the tables and turning off the lights – at least seems to have a point to it. While I would be the first to say that the series does not wrap itself up in the most elegant of manners, there are some genuinely moving moments in these final episodes – the deaths of the Lone Gunmen, Scully giving her child up for adoption. The final standalone, Sunlight Days, is arguably a much more satisfying episode than the actual finale, in the way it plays with the audience’s knowledge that it will very soon be over. ‘The X Files could go on forever,’ smiles Scully, marking the point at which you know the episode will not have the unambiguously happy ending it seems to be heading for, while Doggett’s happy comment that he ‘finally seem[s] to be getting the hang of this job’ also feels knowing and poignant. The fact that the episode is informed by people’s love for classic TV series of years gone by is also surely an acknowledgement that The X Files itself will soon just be a memory. The finale itself is, I fear to say, hopelessly clunky and contrived, with Mulder on trial in what’s basically a kangaroo court, accused of the impossible murder of a man who was actually an alien (a premise seemingly pinched from an episode of The Invaders), and having to prove the existence of the alien conspiracy within the government in order to save his own skin. It attempts to recap the entirety of the meta-plot from the preceding nine seasons in a matter of minutes, and does so in a manner unlikely to satisfy anyone. One can only assume they were mainly intent on setting up future movies, for nothing is resolved, nothing really concluded: it ends with the X Files shut down (yet again), Mulder and Scully on the run, and Doggett and Reyes zooming off to an undisclosed location with looks of bafflement and frustration on their faces. Which just leaves one to wonder why the subsequent iterations of the series – the 2008 movie and the revived series this year – haven’t really picked up on the new ideas seeded into the finale. In the final episode, Mulder learns that an alien invasion is scheduled for December 2012, but this never gets mentioned again: unless you count the incipient pandemic from the final episode of the revival. One consequence of watching the main series again is that it has made me like the revival much less, in the way that it cheerfully attempts to ape the style of the show’s imperial phase while disregarding later developments for both the story and characters (all right, so there was the odd mention of young William, but even so) – I might even get slightly cross about the way they reveal Monica Reyes has been a sell-out for the Cancer Man all these years. Will there be future instalments? The jury is still out, but if they do go for another movie or TV series (and it would wonderful to see a show as smart and subversive as peak-period X Files cast its eye over Trump’s America), they must surely think about giving us some kind of resolution of the main plotline. On the other hand, if the series teaches us anything, it’s that the search for the truth is often a lot more fun than actually finding the truth. That, and that workplace romances aren’t necessarily a bad thing. The most recent series of Doctor Who finished last weekend. I watched all the episodes, because the reflex to do so is still there, but the vast majority of them were on catch-up and the ‘of course’ which would once have accompanied the first clause of this sentence is, you will have seen, conspicuously absent. Looking back, I’m not sure which is more surprising: that the series as a whole should be so weak, or that I should be so indifferent to it. Then the new issue of DWM turned up in the middle of the week, and while I was flicking through it at work something very odd happened. I had one of those moments of clarity you sometimes hear about: there I was, reading about the tenure of Peter Capaldi, a brilliant, brilliant actor, who is doing a terrific job of playing the lead role in my favourite TV series, with a new co-lead on the way along with a jolly-looking festive special, and I was feeling almost completely indifferent to it. And this filled me with a sort of anguish and a cold fury I can barely put into words. Just to reiterate: Doctor Who is not currently making me angry. Current Doctor Who doesn’t make me feel much of anything, beyond occasional moments of annoyed irritation and very occasional moments of surprise when it shows brief flashes of the old magic. But the fact that I feel so dislocated from the series makes me very angry indeed. Can I make you understand just what a big deal this is for me? I’m not sure. 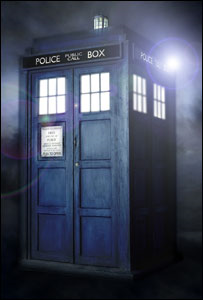 Doctor Who has, without a shadow of a doubt, been my unquestioned favourite TV series for nearly 35 years now. Even that understates the matter. It’s been more than just a TV series for me, it’s been… I can’t think of an easy way of describing it. Other interests have waxed and waned, friendships and other relationships have come and gone, my career has taken me around the world, and through it all, Doctor Who has been a constant. Either the TV show, or one of the many books or CDs, or even one of the comic strips or games, has not been far away if I needed a bit of a pick-up. I have watched Doctor Who in beach huts in Sri Lanka, in internet cafes in Kyrgyzstan, and over the complementary internet of a business hotel in Hiroshima. I was one of the people crying in a cinema when Tom Baker came back for the 50th anniversary special (I look back now on the sheer joyousness of that week with something close to utter bemusement: can everything have changed so much in only two years? It feels like something that happened to another person in a distant part of history). 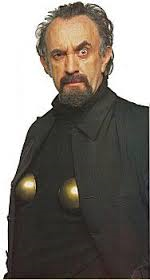 It is just the modern show, as well: The Brain of Morbius came on the Horror Channel the other day and was as much of a joy as ever, to say nothing of Genesis of the Daleks the week before. (Though I must confess to a certain level of fatigue with regard to the Horror Channel’s endless recycling of the same stories again and again – just to get away from it, I watched The Monster of Peladon and The Power of Kroll on DVD not long ago, and I honestly don’t think I’ve enjoyed either of them quite so much.) I was very kindly sent free copies of a couple of new Who books not long ago, and the desire to dig into them and assimilate the opinions therein was undimmed. Even there, though… well, the reason I was sent one of the books is because I contributed a piece to it, and what am I saying, literally as the opening words of my section? ‘Much to my surprise, I have found myself becoming increasingly disenchanted with the last couple of seasons of Doctor Who…‘ Crikey, when did I write this? Nearly three years ago, as far as I can remember; certainly long before that Golden November. So it has been a long process of estrangement, though accelerated considerably over the last year or so. Need you ask why? It is Moffat, of course, or at least the Moffat who writes the episodes. Moffat made a joke in the new DWM to the effect that he actually has a Zygon duplicate who does all his interviews and media appearances, leaving him to do the actual hard work of showrunning, which would be funnier if it didn’t actually seem to be true – even today I can read an interview with Moffat and much of the time find myself thinking that this is someone who understands and loves Doctor Who in the same way I do, someone who I am on some level sympatico with. 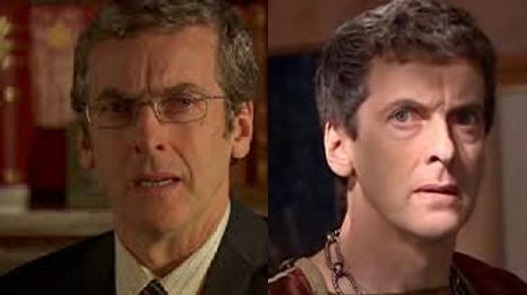 But then Moffat-the-Writer will get up to his old tricks and I will be unable to accept that this is the same person. The ‘old tricks’ of which I speak? Well, for one there’s coming across as some kind of evil, corrupted clone of Robert Holmes, whose love of the big set piece is not accompanied by any need to ground it in something approaching context. Or there’s that infuriating tendency to write something in as a major shift in the status quo of the series, only to utterly ignore it the next time it becomes inconvenient for a script. Or that apparent tendency to base scripts on the kind of concepts the DWM question-and-answer page was contending with in the early 80s: let’s do a story about someone whose meetings with the Doctor are not chronologically synchronous! Let’s do one where you see different types of Daleks together! If I had to identify the moment when I stopped really caring about modern Doctor Who, it was when Moffat tried turning the Master into a woman. The gears in my head locked up, I couldn’t (and still can’t) make sense of it, I could no longer sustain my belief in the fiction of the show (see, Moffat, you were right the first time). I am genuinely and absolutely baffled when I am told, with great sincerity and urgency, that this is a necessary and important change for the series. Someone told me with a straight face just the other day that the Michelle Gomez character is there because the programme needed more ‘strong female characters’. Say what you like about the series since 2005, but it has never been short on strong female characters, and even if it had been, there is always an obscure and little-understood process known as ‘creating a new character’. I think I’ve said before that in this and similar cases – such as the suggestion that the ‘new’ Spider-Man could be of a different ethnicity – there’s a degree of wanting to have your cake and eat it going on: people want to make a statement by doing something new and radical and making a bit of a departure from the past, while simultaneously retaining the iconic qualities of the original character and the emotional investment people have in them. We could argue about this in terms of metaphysics, morality, culture and even (if you really must) continuity, but what it boils down to is my belief that trying to turn the Doctor into a woman is an essentially meaningless gesture, the primary result of which is the reduction of a much-loved and essentially well-rounded character to an abstract narrative blob. It doesn’t say anything significant about modern society or culture or attitudes to gender that couldn’t be equally well accomplished in some other way. A few years ago I wrote a review of the novel of Interview with the Vampire, essentially saying that, in terms of metaphorical treatments of the lifestyle of gay men, this was not the most subtle thing I’d ever read. And I got a slightly bemused comment from one reader, to the effect of ‘Wow, I didn’t know it was supposed to be about gay men, I thought it was about vampires.’ In this particular case, it’s the metaphor that lends the story its power, because who can relate to a story about fictional supernatural creatures? My point is that attempting to turn the Doctor into a woman is a story which has no metaphorical weight or power to it. It has no connection to reality. Don’t tell me it’s about showing that women can be strong, unless you’re also telling me that women can only be strong if they’ve previously spent fifty years as a man. Don’t tell me that it’s making society and culture more trans-acceptant, because to liken the fictional process of regeneration to gender reassignment is both facile and stupid. Don’t tell me it’s about making a statement about non-binary conceptions of gender, because the characters involved have existed within that framework for years, and it will take more than a half-baked retcon to make that go away. It will achieve nothing of value not available through less destructive means. It is pointless. …sigh. On the other hand, is there any point to writing this? If so, I don’t really see what, beyond giving me the opportunity to get this off my chest. Every year rolls around, every year Moffat goes to further slightly absurd lengths in pursuit of this peculiar agenda, every year I go on the internet to give vent to my frustration. I am aware, thank you, that this is all, when it boils down to it, simply about the fact that I’m just angry about not being able to enjoy Doctor Who any more. I, along with many people I know, don’t foresee myself continuing to watch at all, if the next performer cast as the Doctor doesn’t have a Y chromosome, simply because I will be fundamentally unable to recognise them as the same character. I can’t imagine how I will feel about that; I won’t know until it happens, but I’m pretty sure it will not be good. And the fact it was so totally avoidable, and will serve no real purpose, just makes the prospect worse. Just a short announcement this week: as Steven Moffat’s idea of what constitutes good Doctor Who now seems to fundamentally differ from mine to a greater degree than I would have thought possible, I have decided to suspend my activities as a commenter on the series (in its post-2009 incarnation anyway), at least until he clears off. I don’t value negativity or particularly enjoy being endlessly critical, so my continuing to write about or discuss the series in public venues is really in nobody’s interest. To restate: don’t have an issue with any of the actors or directors or other creative people on the series, most of whom do remarkable work from week to week. It’s just Moffat’s storytelling and ideas that I too frequently find disappointing (or even infuriating) these days. I expect that there are some people who are either utterly bemused or actively irritated by the sheer amount of attention Doctor Who has been attracting over the last ten days or so. It is, after all, just a TV show, an occasionally silly, sometimes unpopular and unfashionable one, originally made for children and in not especially well-financed style. And you would have a point, were it not for the fact that this is, after all, the fiftieth anniversary of the programme’s first appearance. Fifty years! For a TV series to still be on the air fifty years after its first broadcast is, surely, of some historical significance. When it is a genre series, that significance is surely greater. Greater still, when the series is arguably enjoying an unprecedented peak of global popular success. So it’s a significant day. But why should anyone outside the Doctor Who village really care? For those of us who have been on board for the long haul, this is of course a wonderful occasion for taking stock and recalling the legions of unsung heroes who have made such remarkable contributions to this most rich and varied of cultural artefacts, people whose names are never usually mentioned in the mainstream media – not just the famous, celebrated people like Verity Lambert or Douglas Adams, but Waris Hussein, David Whitaker, Raymond Cusick. Innes Lloyd. Derrick Sherwin. Douglas Camfield. Malcolm Hulke. Robert Holmes. Barry Letts. Terrance Dicks. Dudley Simpson. Philip Hinchcliffe. John Friedlander. Graham Williams. David Fisher. Graeme Harper. Christopher Bidmead. Eric Saward. Andrew Cartmel. Ben Aaronovitch. Philip Segal. Phil Collinson. Joe Ahearne. Paul Cornell. Gareth Roberts. And many others. But why should anyone else care, let alone feel the need to celebrate in any way? Is today a good day for more than just the fans of the programme? I think so, and permit me to explain why. Doctor Who may be my favourite TV show – although those words seem madly inadequate – so I am inevitably going to be biased, but I honestly think it has had an effect on our culture and society over the past five decades which has been wholly positive, and is wholly to be celebrated. This isn’t just because Doctor Who is a brilliant vehicle for telling a certain style of story, though it is: Doctor Who, at its best, has always been unbeatable when it comes to a particular type of fantasy adventure. Nor is it because of the undoubted wit and craft of the storytellers, although the history of the series sometimes looks like one brilliant coup after another, particularly in the early years when their ability to turn limitations into triumphs (the spaceship has to look like a phone box, they have to recast the lead character, and so on) seemed almost supernatural. These just mean it is a great TV series. What I think makes it such an honestly wonderful institution is the fundamental ethos of the thing: it is about creativity, and imagination, and beyond that it is about tolerance, kindness, politeness – freedom of thought, freedom to be silly. The importance of reason, the importance of compassion, and the importance of fighting for what you believe in. And if that’s all a bit abstract and airy-fairy for you, look beyond the actual substance of the series: friendships made through a shared love of the series, marriages brought about, children born. Imaginations sparked into life – whole generations had their appreciation of the joy of reading kindled by the 13 million Doctor Who novelisations published between the 1970s and the 1990s – and careers in publishing and TV forged as a result. So that is why I will personally be enjoying today, regardless of exactly how the actual anniversary episode turns out (hey, I’m on such a golden cloud of positivity at the moment that I’m fully expecting it to be wonderful). Today is not just a good day for Doctor Who and its fans: it is a great day for British culture and everyone who would like to believe in a better world. As Peter Capaldi receives his first official DWM cover, all the agitation and uncertainty of the summer seems to be fading away, and it feels slightly strange to look back and recall some of the wilder discussions and stronger sentiments which were in currency. Nevertheless, fandom did seem unusually exercised this time around. I myself distinctly recall that moment where we were treated to a close-up of ‘the new Doctor”s hand prior to his name actually being announced, and my flood of relief at seeing it was obviously that of a man. The calls for the Doctor to be regenderated seemed much louder this time than they have been in the past; I don’t recall any but the most cursory discussion of the possibility prior to Eccleston or Tennant being cast, nor in 2008 (though admittedly I was a bit out of the loop at the time). This time round, it turned into a bit of a Thing, even warranting a DWM article on the topic. I talk about a ‘discussion of the possibility’ but what really struck me about the various outpourings on the topic was just how little discussion was actually taking place: this was such a polarising issue, people either saw the idea of a female Doctor as perfectly unremarkable and a natural development for the series, or a ludicrous bastardisation of the entire character and concept, with no middle ground or room for debate. Did people snipe? Did they accuse? Did they name-call? Yes, yes, and yes. Did they discuss? Not so much. Personally, and this isn’t really important to anyone but me, I am in the ‘terrible idea – never, ever’ camp, along with most of the other old-school viewers of the programme whom I know. 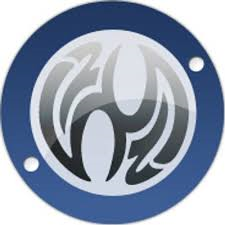 It does seem to me that most of the advocates of the regenderation are people who have come to the series in the last ten years (a few big names like Gaiman and Cornell notwithstanding). Quite why this should be is something I am reluctant to offer an opinion on. What does strike me is that this more than anything else this resembles some sort of religious schism, with both sides completely entrenched and absolutely certain that their beliefs are correct. I used to feel vaguely disturbed by news reports of Creationist pressure groups attempting to ensure that no Darwinist candidate ever secured the presidential nomination – however, now I am completely okay with the idea of making sure any future showrunner is ideologically sound on this topic (which rules out Neil Gaiman, for one). However, however, however: when it comes to this sort of radical reinterpretation of a character, I have become aware that I am woefully inconsistent. I had a bit of a problem with the gay Green Lantern DC introduced last year, not because I object to gay superheroes (or indeed gay people in general) but because I thought the whole thing was very cynically promoted. I have no issue whatsoever with Miles Morales, the Afro-Hispanic Spider-Man Marvel have introduced as an alternate version of the character. I’m not even particularly exercised by the feminisation and change of race of Dr Watson in the American TV version of Sherlock Holmes – I think it’s another dubious and arguably cynical idea, and it’s not a show I would ever sit down and watch, but it doesn’t ignite the explosion of outrage and despair within me that I’ve no doubt the announcement of the twelfth Doctor being a woman would have. I don’t think I’m a misogynist any more than I am a homophobe or racist, so why should this be? I don’t particularly want to go through the reasons why I think the Doctor is essentially male, mainly because this doesn’t seem to be an issue much lending itself to reasoned discussion. But I do think this can potentially tell us about some of the things that makes Doctor Who special as a concept and the Doctor special as a character. The clue is that there have been female versions of the Doctor in the past, of course, and they left me notably non-outraged – the ‘ultimate’ Joanna Lumley Doctor from The Curse of Fatal Death, and the equally final Arabella Weir Doctor from the Doctor Who Unbound series. The difference, of course, is that both of these versions appear in comedy skits based on the series – Lumley, certainly, arguably so in the case of Weir – and are outside the main continuity of the show. I’m sorry, I usually try and avoid the C-Word like the plague, but I’m going to have to talk about the concept of Canon. Canon presupposes that there are two kinds of Doctor Who story – ‘real’ ones, which all connect to tell a single, consistent story running from An Unearthly Child to The Name of the Doctor and onwards, and ‘unreal’ ones which are somehow even more fictional than the rest. The Lumley and Weir Doctors are both non-Canon, obviously; were Matt Smith to transform into – I don’t know – Miranda Hart, she would be the first Canon female Doctor. I am much more relaxed about the concept of Canon than I was a couple of decades ago – did the New Adventures count? Did the early Big Finish stories count? Then again, these days I tend to dismiss everything beyond the actual TV series as apocryphal and leave it at that. But Doctor Who’s idea of Canon is different from that of other, broadly comparable series and institutions. Partly because this is Doctor Who originated as a TV show rather than, say, a series of books and stories. One can meaningfully talk about ‘the Sherlock Holmes canon’ in terms of the stories actually written by Doyle (as opposed to all the pastiches written by other people since). This exists as a sealed bubble and has done since the death of Doyle in 1930. The same could be said of the Cthulhu Mythos, since the death of Lovecraft, and the Conan saga, since the death of Robert Howard. Doctor Who doesn’t have a single creator in that manner – it’s been handed on from writer to writer with no-one truly having a claim to being the single key figure in its development. However, this is equally true of characters in other media – for example, comics superheroes, many of whom have histories even longer and more complex than the Doctor’s. The concept of Canon is a much more flexible one when it comes to comics characters – of the big companies, DC Comics in particular is wont to aggressively re-write the histories of its characters on a regular basis. There’s less an idea of Canon here than one of an archetypal concept of each character – individual story developments may lead to a gradual drift away from this, but sooner or later the character will be reset back to this point. As a case in point, there was some brouhaha in 1991 when Lois Lane discovered that Clark Kent was really Superman, and even more in 1996 when the couple actually married, but as of 2013, in the comics at least, they are not and have never been married and she does not knw his identity. How is this possible in the same narrative? Well, it’s not, and this isn’t strictly speaking the same narrative. I remember a time when people only ever used to reboot computers, but now it’s always happening to continuities: resetting the clock to zero (or, the archetypal set-up) and allowing writers to tell stories with a minimum of constraints in terms of historical baggage. It’s happened to Superman, Batman and Spider-Man in their most recent movie outings; it’s happened to Godzilla about six times (usually with the respectful proviso that the original 1954 movie remains as the foundation stone of the series); something broadly similar (yet, to my mind, uniquely unsatisfactory) happened to the Star Trek universe when JJ Abrams got his hands on it. One of the advantages of this kind of reboot is that it instantly sets the original continuity apart – it doesn’t quite turn it into the equivalent of a definitive canon, in the sense of the Doylean Holmes canon – but it does mean that creative people are less likely to be excoriated for making radical changes to characters. 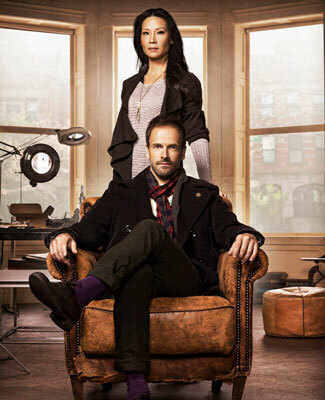 I’m happy to ignore Elementary, with its modern setting and female Watson, because it plainly is just a slightly weird alternate take on the original Sherlock Holmes characters and doesn’t attempt to pass itself off as a genuine continuation of the characters. There have been plenty of alternative versions of Doctor Who – the comic strips, the Cushing Doctor, the Trevor Martin stage Doctor, the Unbounds, and so on – but one of the things about it which is perhaps more surprising than many people realise is that the continuity of the TV series has never knowingly been rebooted: a single narrative thread does indeed continue unbroken, from 1963 through to the present day. That this has happened is actually roaringly unlikely: Philip Segal’s planned American TV show would have started over again, while at least one of the other proposed versions from the 90s would have seen the ‘canonical’ seventh Doctor handing over to an alternate Doctor from a parallel universe. BBC executives at one point wanted Tom Baker to regenerate into Paul McGann in 1996, which would presumably have created a new continuity with a different fifth Doctor. Mark Gatiss’ pitch to revive the series around the turn of the century would have been a clean reboot of the series from scratch with a new first Doctor. But Doctor Who has not – so far – been rebooted. I think this is largely down to the fact that the people at the top of the show are fans and love the heritage of the programme as much as anyone – ‘…worst of all, it’ll be a reboot. No thanks’ (Rusty Davies, discussing the possibilities of the 2005 relaunch), ‘…it should be one big long story, not two different versions’ (Steven Moffat, dismissing the idea of a US-made Doctor Who running in parallel with the current show). 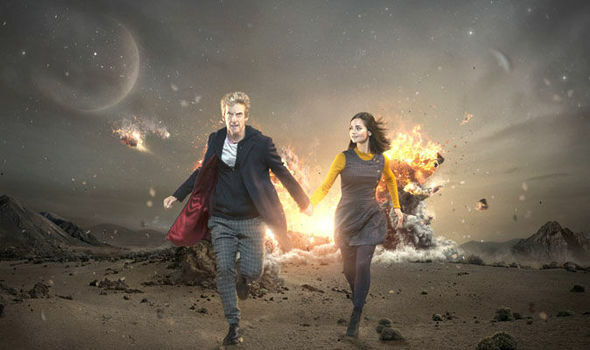 There is, I suppose, a strong case to be made that most of the reasons leading to other TV and film series being rebooted do not apply to Doctor Who: the facts that the show is infinitely recastable – that this is actually incorporated into the narrative – and unlikely ever to run out of ideas are two of the main reasons why it has lasted half a century. And yet, in a strange way, this also makes the series uniquely vulnerable. Doctor Who doesn’t have a closed canon like Sherlock Holmes, while any archetypal version of the Doctor is a hugely nebulous thing at best. If the BBC does a bad version of Sherlock Holmes, as it has a couple of times over the years, one can simply dismiss it as a poor adaptation and look forward to the next one, which will be an entirely separate entity. Should they make a similar creative misstep with regard to Doctor Who – and here it’s very difficult to resist mentioning Colin Baker’s costume – then the series is stuck with it in perpetuity. Steven Moffat dismissed the prospect of an American-made, parallel series. I don’t know, but I think I’d rather be showrunner on that show than the British one – it would be a terrific opportunity to revisit the mythology and characters, free of the demands of continuity. I wouldn’t even be against the idea of the Doctor being female some of the time in this sort of show, provided it was seeded into the format properly. And the existence of a second version of the series running in parallel might go some way towards firming up the archetypal concept of Doctor Who as something existing beyond the confines of any particular incarnation (by incarnation here, I mean TV, films, books, and so on). The existence of two equal valid versions of Doctor Who would be more likely to lead to more – the concept transcending its TV origins to become a genuine cultural icon across different media, which it currently is not. The only casualty would be the existence of a single unified continuity – and given that the continuity we’ve got largely doesn’t make sense anyway, would that be so great a loss? I started by talking about a schism between Doctor Who fans and find myself discussing the possibility of destroying any idea of Doctor Who as a coherent narrative – and doing so as though this were potentially a positive thing. Whether or not this happens is, I suspect, largely down to who is curating the show at the BBC and their attitude towards the idea of Canon. It would be very interesting to see a modern version of the show not overseen by a card-carrying long-term fan, for this reason and many others. Okay, in the course of this piece I’m fully expecting to find myself in some fairly abstract and definitively trivial areas, so let’s start with a nice simple, easy question that cuts straight to the matter we’re here to discuss. Observe, please, the picture below with the five gentlemen in it. Now: do they look the same, or different? And if so, why? It’s not actually a trick question, but it does lead us into some fairly peculiar (and, to me, quite interesting) areas connected with how people – fans, mainly – engage with and think about Doctor Who. I’ve been thinking about writing this piece for ages but always shied away, simply because it is such an esoteric area. But now it seems to me that it has a certain relevency, simply because some Doctor Who fans are worrying about, essentially, a very similar question. Observe the second picture below. Now: do these two men look the same, or different? And why? The key question here is basically this: how realistic is the Doctor Who TV series in how it represents the events of the stories it depicts? As you can see, straightaway we’re off into the depths of the Fan Zone, as the question presupposes the actual existence of Who-world as something separate from the TV series that created it. It’s not real, of course. It’s a meaningless question. But it doesn’t necessarily follow that we can’t have a go at answering it. Many visual aspects of Who-world have radically changed over the years, one of the most discussed being the appearance of the Cybermen, as documented in our first picture. This is largely due to improvements in costume-making, of course, and changing standards of what is perceived to be credible to the audience of the day. The Cybermen of The Tenth Planet look very different to those in Nightmare in Silver – to the viewer, at least. But do they look different to the characters in the story? Let’s choose a slightly different example and consider the destruction of Earth (or a close lookalike). The demise of Earth in The End of the World is a great-looking special-effects triumph, of course, as convincing as such a thing can be. The destruction of Mondas in the first Cyberman story, on the other hand, more closely resembles a blob of polystyrene melting off the end of a stick. In story terms, the two events are almost identical – but their realisation is vastly different. Yet, in terms of the fiction, it’s safe to assume that they would have appeared the same to observers within the universe of the story. So isn’t there a clear gap here between the events of the story and how they are presented to the TV viewer? I think there is. The real question is when we are dealing with this gap, and when we can take what we see on screen at face value – in other words, how can we tell when a change in Cyberman design between stories is intended to represent an in-universe change, and when it simply represents an improvement in costuming or creative choice on the part of the production team? As I say, this is not a question many people are likely to lose sleep over. I would have said it was mainly an issue to dedicated continuity cops and writers of fictional history. The first widely-distributed attempt to tackle this problem was David Banks’ history of the Cybermen in his book of the same name – and Banks does take the design of the Cybermen as being a true representation of their in-universe appearance, the appearing and disappearing ear-muffs on a number of designs leading him to postulate a whole series of dynasties of different sub-species of Cybermen cross-pollinating with each other. If you simply assume that all Cybermen look more or less identical no matter what their origin, writing this sort of history becomes a bit easier, but the results are much less interesting. Changes in Dalek design over the years have mostly been less obvious – the two most recent updates excepted – but nevertheless they have taken place. I haven’t seen a concerted effort to write a Dalek history incorporating the shifts in design, the main issue being that the two main designs from the 20th century series – the small, light grey ones first seen in The Dead Planet, and the larger, darker-coloured ones first appearing in Day of the Daleks – seem to appear almost at random (if viewed from an ‘historical’ perspective), with the dark greys being the first Daleks created in Genesis of the Daleks, but also appearing in 2540 (Frontier in Space, et al) and the final years of the original Dalek history (Destiny of the Daleks, et al), while the light greys show up in the 22nd century (The Dalek Invasion of Earth), the year 4000 (Mission to the Unknown, et al), and the last days of the original Dalek Emperor (Evil of the Daleks). One could go on and on – the number of fingers possessed by Sontarans varies between stories, the Silurians look very different in their first two appearances, and so on. Changes in the appearance of gadgetry and places also abound, particularly the sonic screwdriver and the TARDIS interior. However, while most of these (possibly superficial) changes go unremarked-upon in the 20th century series, major changes in the TARDIS usually do. The peculiar TARDIS interior decor of The Time Monster is referenced in the script, the switch in control rooms at the beginning of The Masque of Mandragora likewise. The new console in The Five Doctors is lovingly showcased in the opening shot of the story. It’s a rare example of the 20th century show acknowledging this sort of change. One of the things that makes the 21st century programme (particularly under Steven Moffat’s curatorship) subtly but distinctly different is the way in which these changes are not just acknowledged but foregrounded. Another change in TARDIS interior is a significant element of The Eleventh Hour, while Victory of the Daleks is a bit of a watershed moment: not only do two clearly different models of Dalek appear in the same story for the first time – the story demands that they really are as different as they appear to the viewer – but this fact is central to the plot, it’s what the story is on some level about. 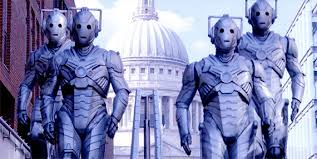 Nightmare in Silver attempts something similar by including two different makes of Cybermen at different points. It would seem, then, that the gap between the fiction and its realisation is no longer present in the current show – or, if it is, it’s much less obvious. But what about when it comes to casting? 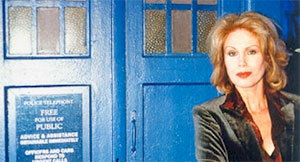 There are many actors who have racked up numerous Doctor Who appearances playing different parts every time. Are we to suppose that – to pick an example at random – Supervisor Lowe from The Invisible Enemy and Laurence Scarman from Pyramids of Mars (both played by the inestimable Michael Sheard) really were spits of each other? The Doctor doesn’t comment on it and under the standard conventions of TV one isn’t surprised by this. No-one comments when a character in The Macra Terror is played by different actors in different episodes, after all; this sort of thing is standard in soap operas too (though it’s something that happens relatively rarely in Doctor Who – perhaps the very existence in-universe of the idea of regeneration, where characters can be ‘visibly’ recast, makes it difficult to ‘invisibly’ recast them like this). There is the odd moment when the show seems to be winking at the audience about this, though – one comes quite early on, in a missing episode from The Daleks’ Master Plan, when William Hartnell makes some tongue-in-cheek ad libs about a particular character seeming oddly familiar (the same extra had previously appeared in The Crusade) – but no-one comments on Steven Taylor’s uncanny resemblence to Morton Dill, for instance, the sixth Doctor’s potential sideline as a Commander Maxil lookee-likee, or Amy Pond’s doppelganger in Pompeii. On the other hand, there have been times when casting a previously-used performer as a regular has resulted in an in-universe reference to this. Romana admits to copying Princess Astra’s appearance for her second incarnation (mainly because they’re both played by Lalla Ward), while Smith and Jones gives us the biologically unheard-of phenomenon of identical cousins to explain Freema Agyeman’s appearance as different characters in two stories set in the same time and place. Which, I suppose, brings us to the question of what reference – if any – they are going to make to Peter Capaldi’s previous appearances in Who-world when he appears as the Doctor. Some people – I say people, I mean fans – are actually fretting about this, complaining that having seen Capaldi as Caecilius in Fires of Pompeii and Frobisher in Children of Earth they can’t now accept him as the Doctor. Others are engaged upon heroic attempts in continuity-copping to explain the similarities. Well, I can’t believe they’re going to go that far in the TV show, but I wouldn’t bet against a little reference or two just as a nod to the fanbase. Then again, I may be wrong. One of my issues with the current version of the series is that it does sometimes feel like high-class fanfic, or something inspired by browsing through the DWM lettercolumn or Q&A page from thirty years ago: Why not do a set of stories about the Doctor meeting someone out-of-sequence? Why not do a story set entirely inside the TARDIS? 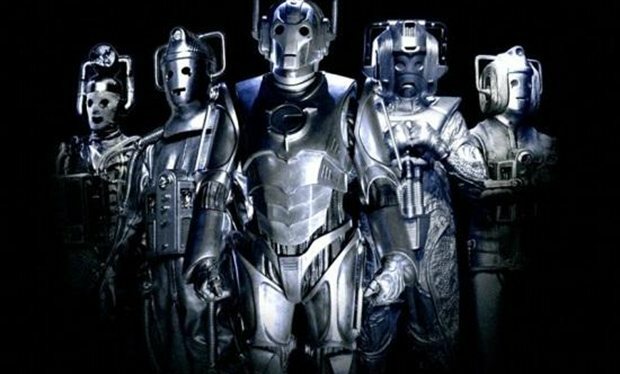 Which is the most advanced type of Cyberman? And so on. It seems to me that the current show’s willingness to do episodes actually about changes in monster design and the in-universe reasons for this is a sign of somebody’s fannishness running out of control. I’m not sure all the stories have been strong enough to justify these conceits – and if they’re going to continue in this self-regarding vein, that’s something that needs to be addressed.